I absolutely knew this would happen. In a sense, I rather wanted it to happen. And now it has, and I have got my comeuppance. Bigly. Hugely. No sooner had I pressed ‘send‘ on my post 2 days ago bemoaning the absence of bald eagles in 2018 than corrections began to come in. 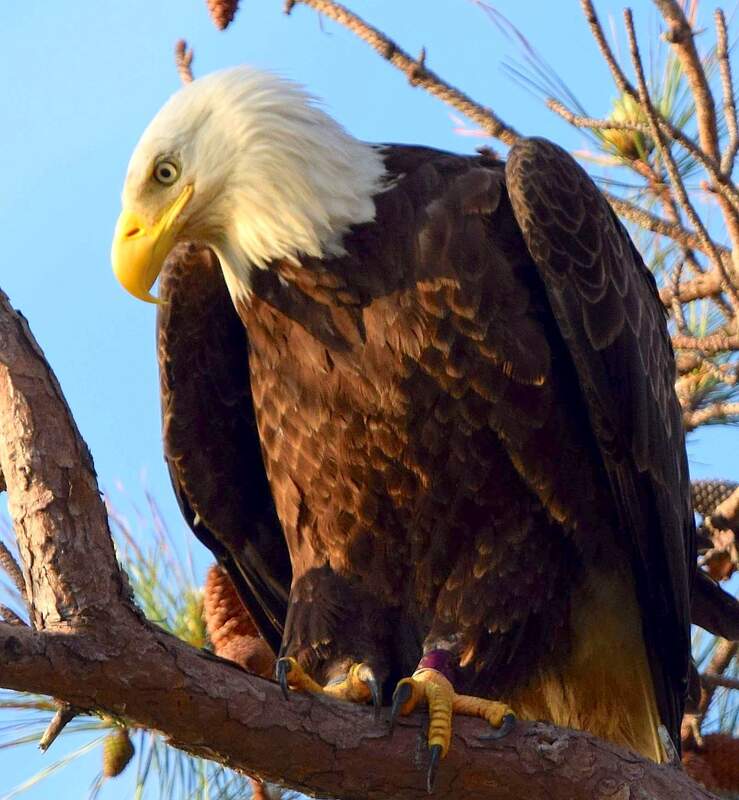 THE ABACO BALD EAGLE(S) OF 2018: IN NO WAY AWOL! 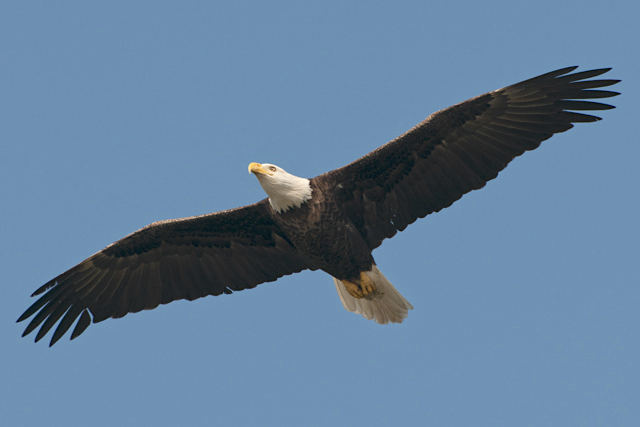 The problem here – you are ahead of me, aren’t you – is that a juvenile bald eagle does not resemble an adult. 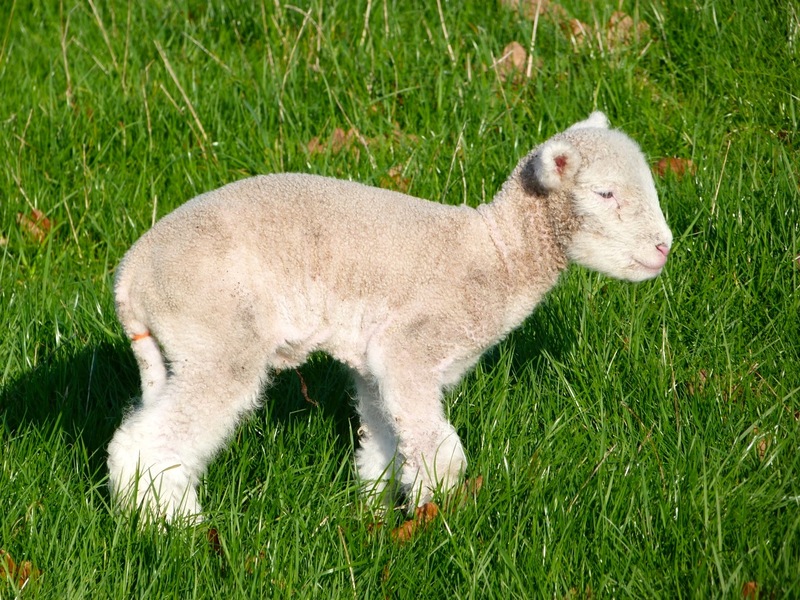 Rather than the familiar and symbolic look, they are dark brown with white flecks and mottling that changes as they grow older. 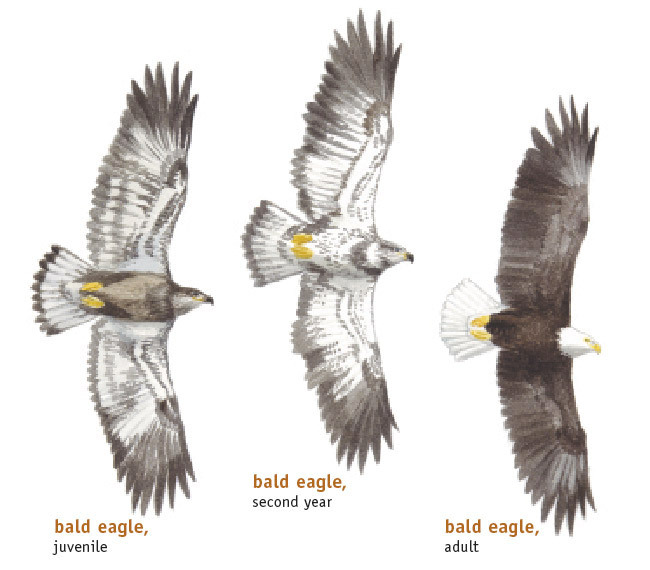 A juvenile won’t even begin to look like a bald-headed adult until it is around 4 years old. Here are two comparisons of the confusing ages and stages. 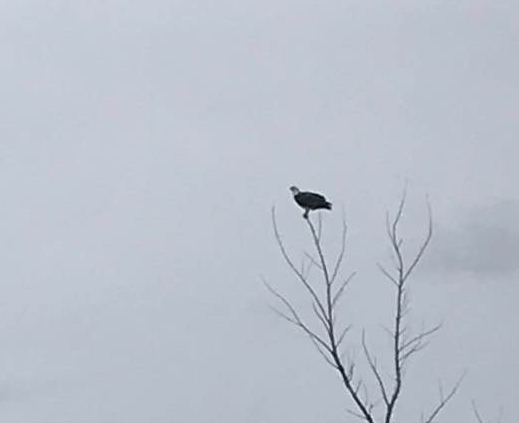 Within the last couple of weeks, a resident of Man-o-War Cay saw a huge brown bird – not an osprey, turkey vulture or red-tailed hawk – hunting chickens in the area. 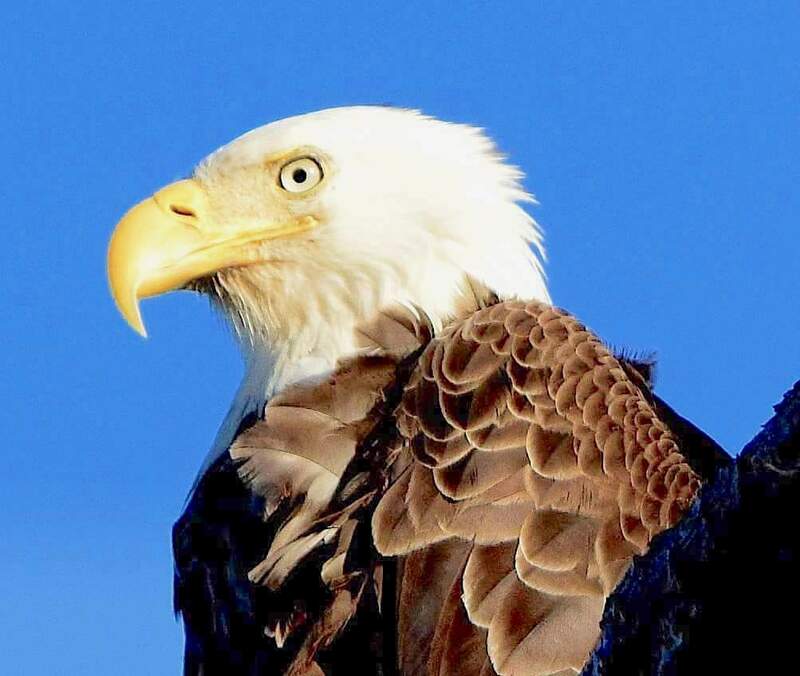 He told his family and identified the bird from looking at a photo of a juvenile bald eagle. I received this report – the first in time – from Charmaine Albury. Her brother was the sharp-eyed spotter. Had that been the only report, in the absence of a photo I might have had at least some doubt. Then Woody’s report arrived, a definite juvenile bald eagle only 3 weeks before, over the Marls. From there, with its spectacular eyesight it could practically have seen the individual chickens on Man-o-War. So it’s a good fit for ID. I’d say that right now on Abaco we have a single juvenile bald eagle. 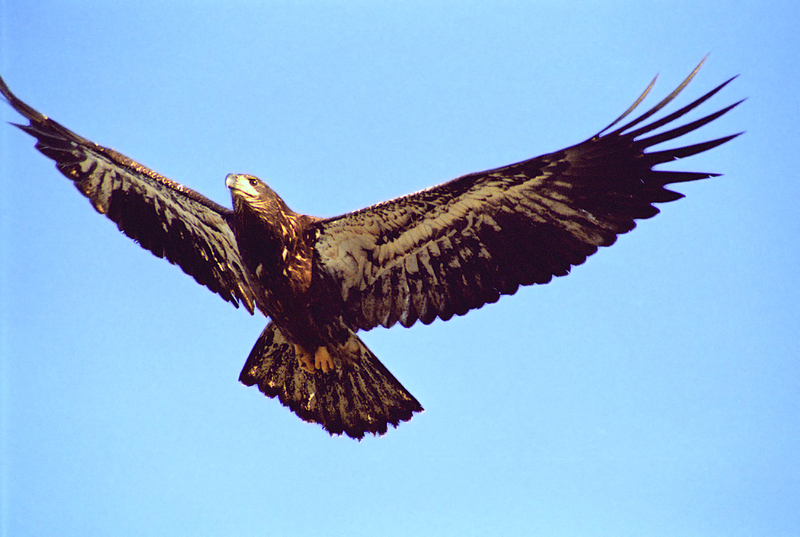 It’s a vagrant, away from its usual hunting ground but unchallenged in the skies where it has ended up. There has been the usual autumn extreme weather (though Abaco has dodged the worst of it) to throw a young bird of course in the last couple of months. So, rather late in the day, we really do have an Abaco Bald Eagle for 2018. It is a year since I last wrote about the Abaco Bald Eagle(s) of 2017. The bracketed ‘s’ signifies the absence of firm evidence that there was just the one. Equally, there was no indication that there were ever two. All reported sightings were of a single bird, seen at a distance. The likelihood is that it was a lone visitor. The bald eagle is classified as a very rare vagrant on Abaco, and I gathered together as many reports since 2000 as I could find (see below). Not many, in summary, and never two. 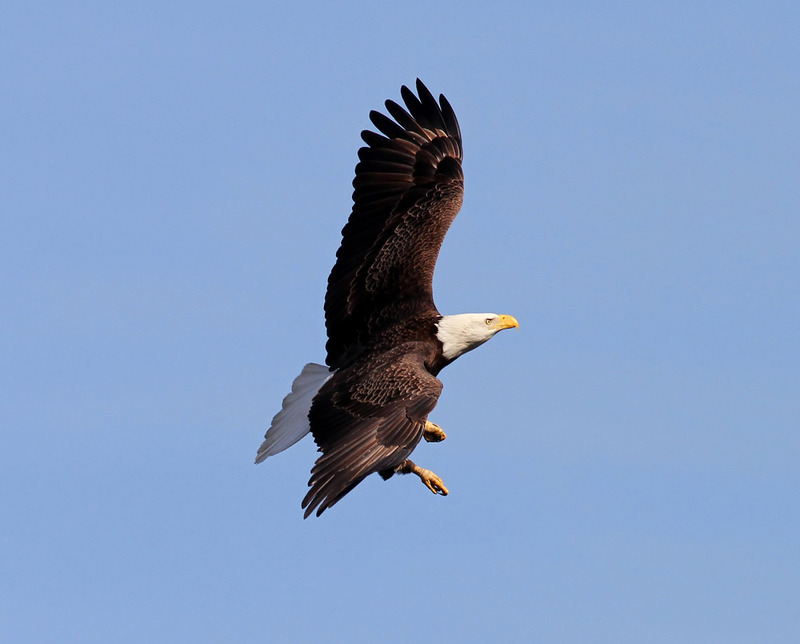 Last year, a bald eagle was sighted around to coast of Abaco over a period of several months. There were 8 sightings in all, and I had hoped that the bird might stay around for 2018. Sadly, not so. The photos featured here come from a sequence by photographer Phil Lanoue. 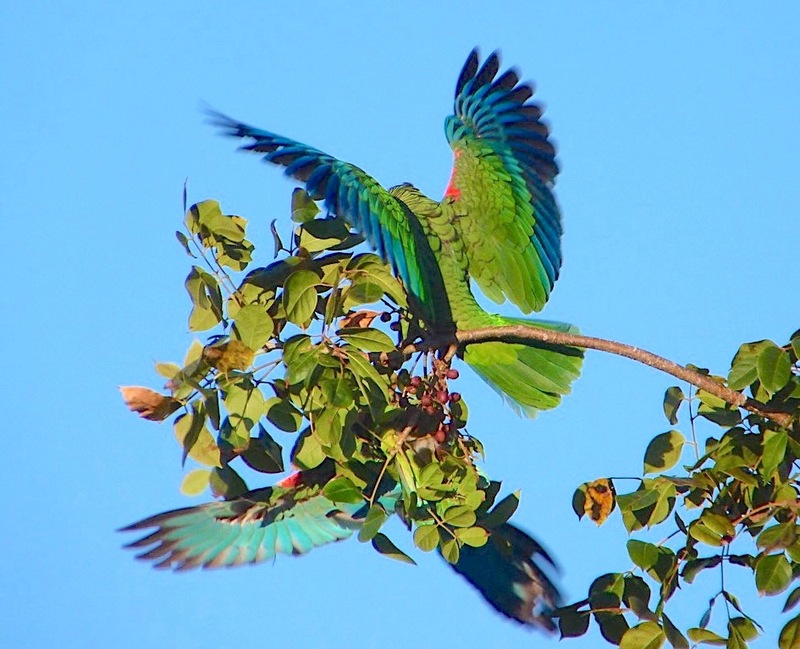 They were not taken on Abaco of course, so don’t be confused. 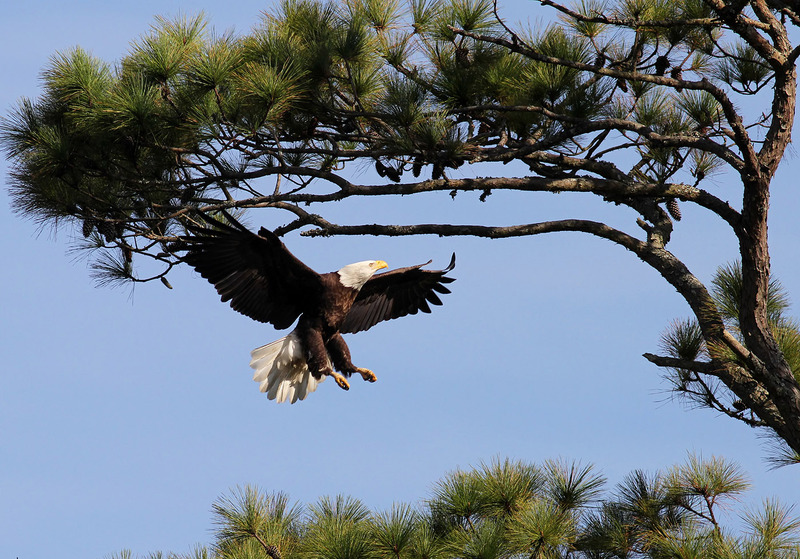 But they illustrate the magnificence of this iconic bird as it prepares for its landing in a pine tree. 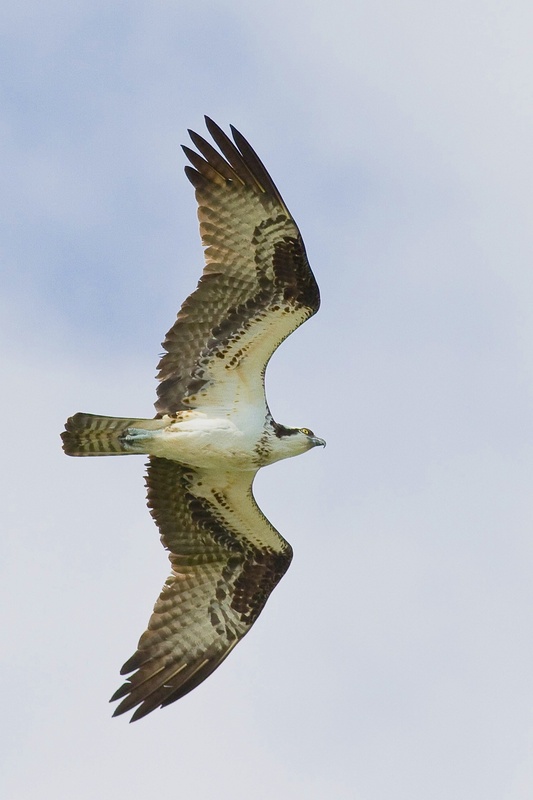 We do have wonderful ospreys of course, but the occasional eagle makes for a rare treat. 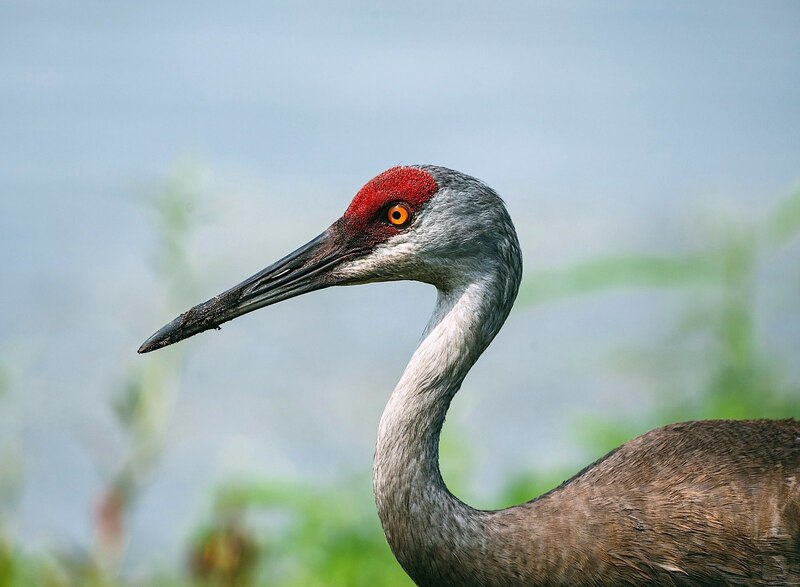 As I said last year, the 2017 sightings were most likely all of the same lone bird that had somehow strayed over to Abaco and found the available prey good, and the location congenial. As undisputed king of the skies, its daily hunting range was a wide one which would explain the varied sighting locations. 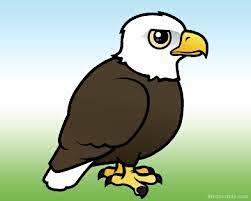 I ended: “I’m sticking with this theory unless and until 2 eagles are seen together”. Here is the list of sightings. They start in 2000, because there are no known reports for Abaco prior to that from when they started to be kept in the 1950s. If anyone has others, I’d be pleased to hear from you. Credits: all brilliant ‘eagle landing’ photos, Phil Lanoue with many thanks for use permission; Abaco eagles by Carol Rivard Roberts and Laurie Schreiner; amusing cartoon, Birdorable; thanks to all spotters and reporters. 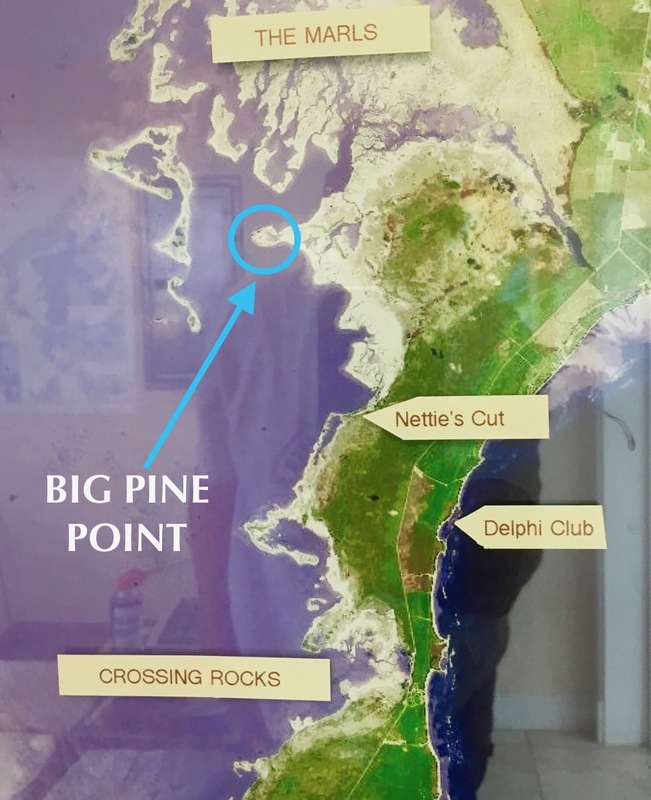 In March, I posted about a bald eagle spotted by a Delphi fisherman out on the Marls near Big Pine Point HERE – a very rare sighting indeed. 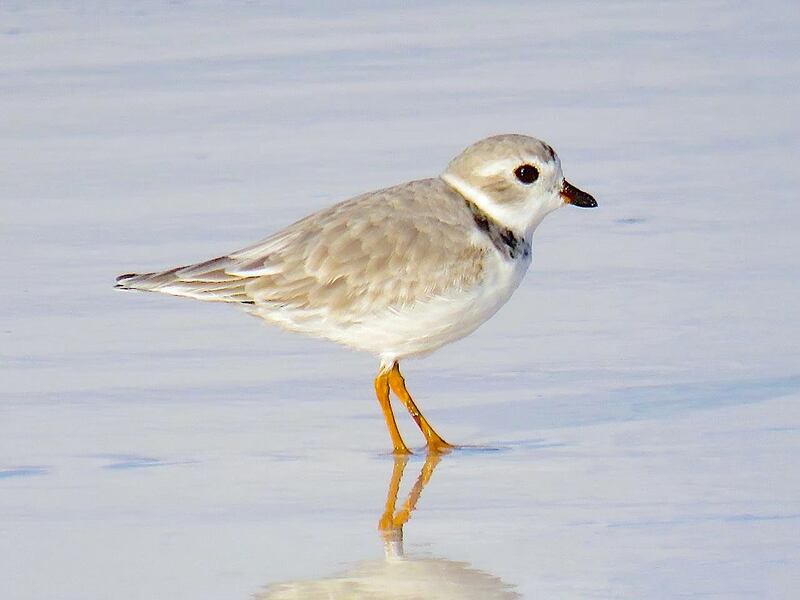 The only previous Abaco sightings were sporadic, of a single bird, and all since 2000 (see below). 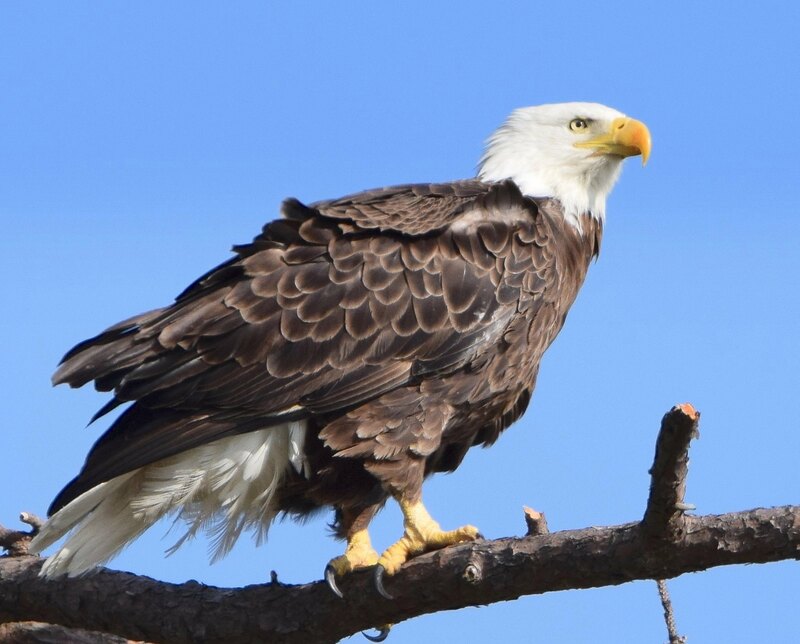 In May, there was another bald eagle sighting, also on the Marls, this time by Danny Sawyer while out fishing; in the Power Plant area; and ‘Kelly’s Mom’ reported one from the Lubbers Quarters / Tahiti Beach area. 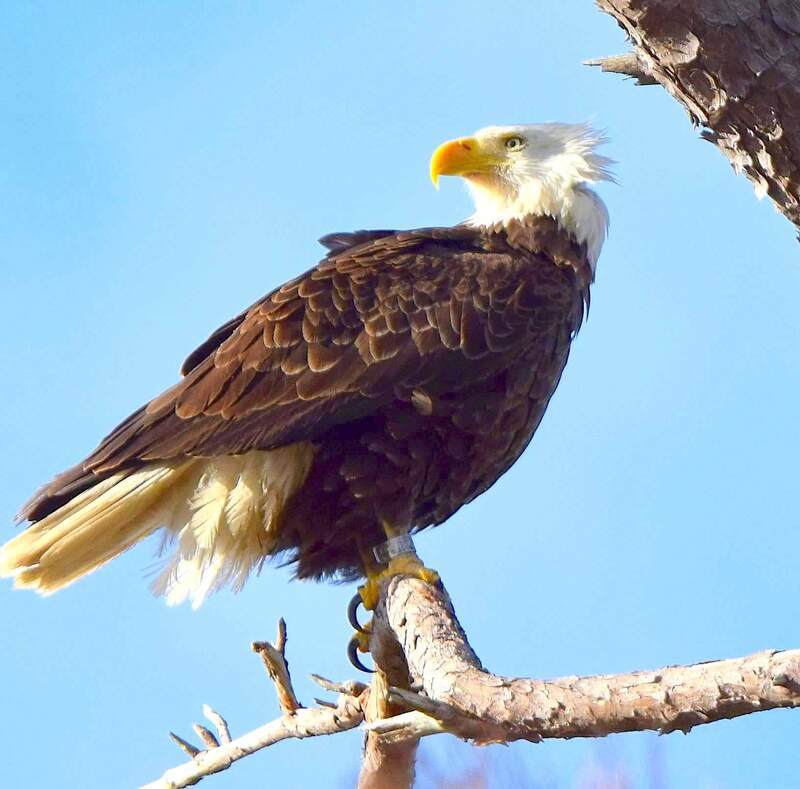 In September came the first photo ever of an Abaco bald eagle, taken by Carol Rivard Roberts in the Cross Harbour area from a considerable distance. 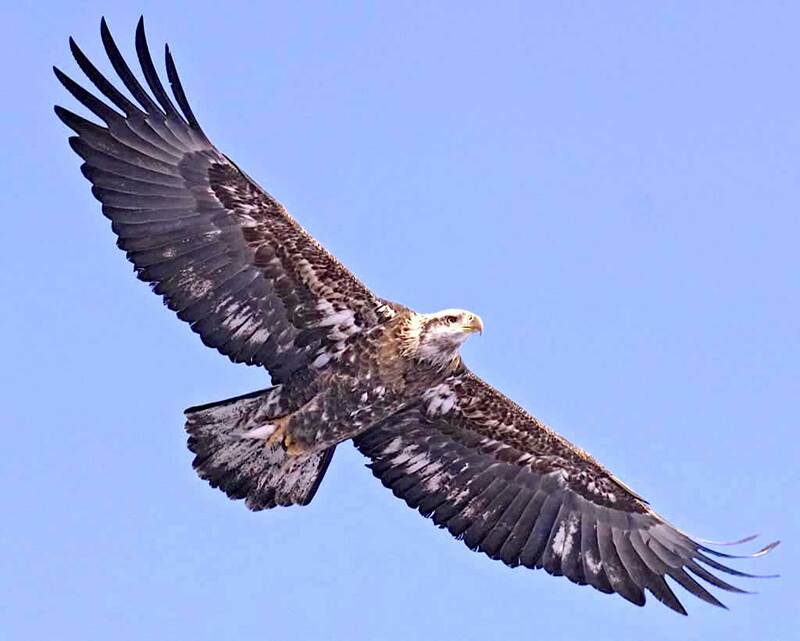 And now, November, Delphi West & East fisherman, most entertaining boat partner, and friend Howard Pitts from Little Harbour has emailed to say that he saw a bald eagle “off the Cherokee Rd near the cell tower” in the last couple of days. So now for 2017 we have 6 sightings, including the first sighting with verification by photo. 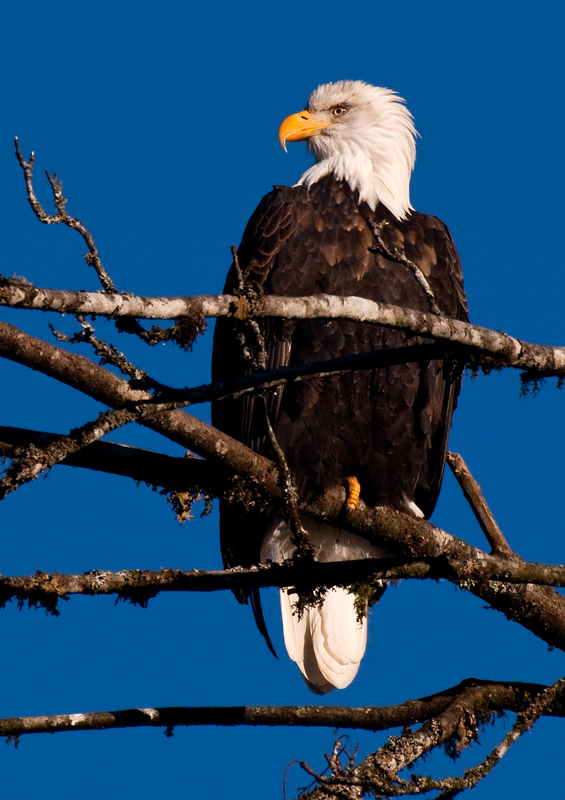 As I said previously, “there really is no mistaking a bald eagle. For obvious reasons it is surely one of the most recognisable raptors of all. 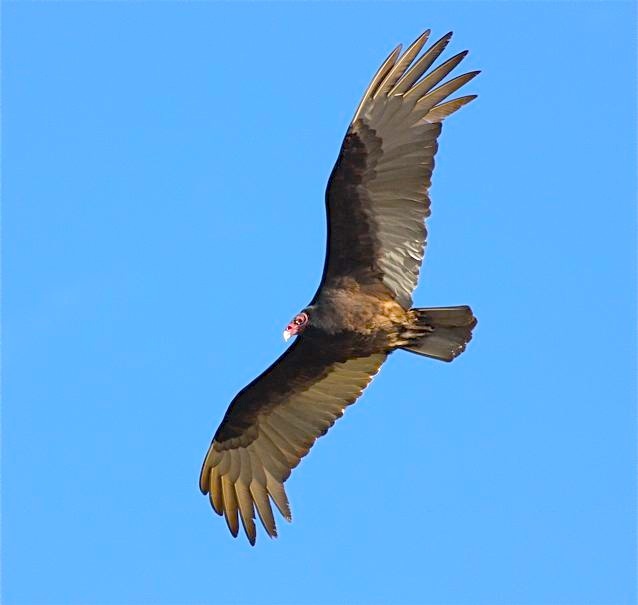 And the only Abaco candidates for confusion would be a turkey vulture or an osprey. There’s very little scope for confusion with either”. I suspect that the 2017 sightings are all of the same lone bird that has somehow strayed over to Abaco and finds the available prey good, and the location congenial. Also, he is undisputed king of the skies. I imagine his daily hunting range is a wide one, which would explain the varied sighting locations. 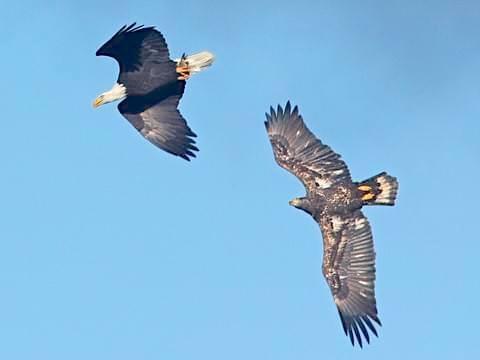 I’m sticking with this theory unless and until 2 eagles are seen together. 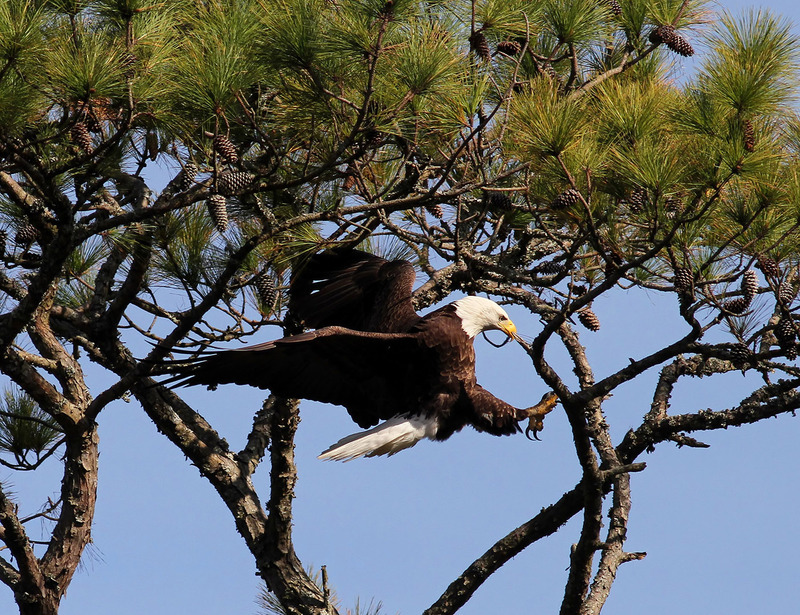 Carol Rivard Roberts is the winner of the challenge I set – the first person to capture an Abaco bald eagle on camera. She carries off the traditional yet strangely theoretical and / or symbolic Rolling Harbour bottle of Kalik, and the Kudos that attaches to it. 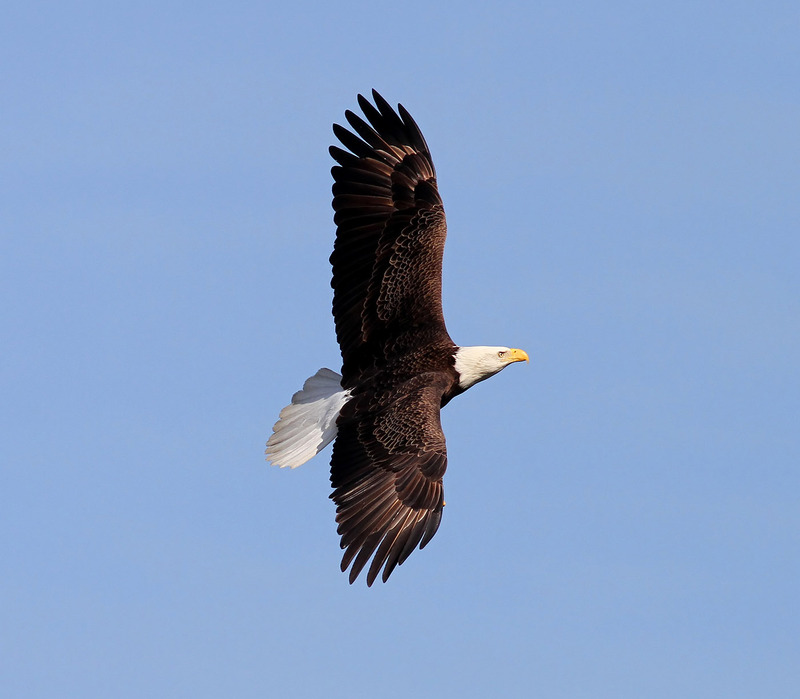 In March, I posted about a bald eagle spotted by a Delphi fisherman out on the Marls near Big Pine Point. He didn’t know it at the time, but it was a very rare sighting of this magnificent raptor. The bird is classified for Abaco as a V4, which is to say an extremely unusual vagrant (but not quite a ‘one-off’ V5). You can read all the details HERE, but to summarise, the only previous Abaco sightings were 3 years running over 2000 – 2002, at the end of each year. The annual visits over such a short time-span suggest that this may have been the same bird each time. 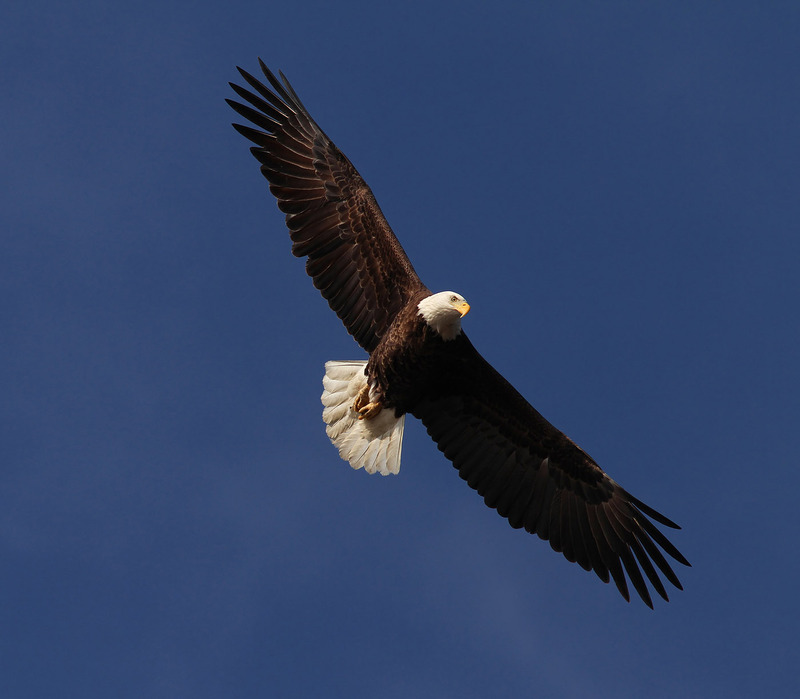 So this March’s report is possibly the second bald eagle ever seen on Abaco… and on any view, the fourth. 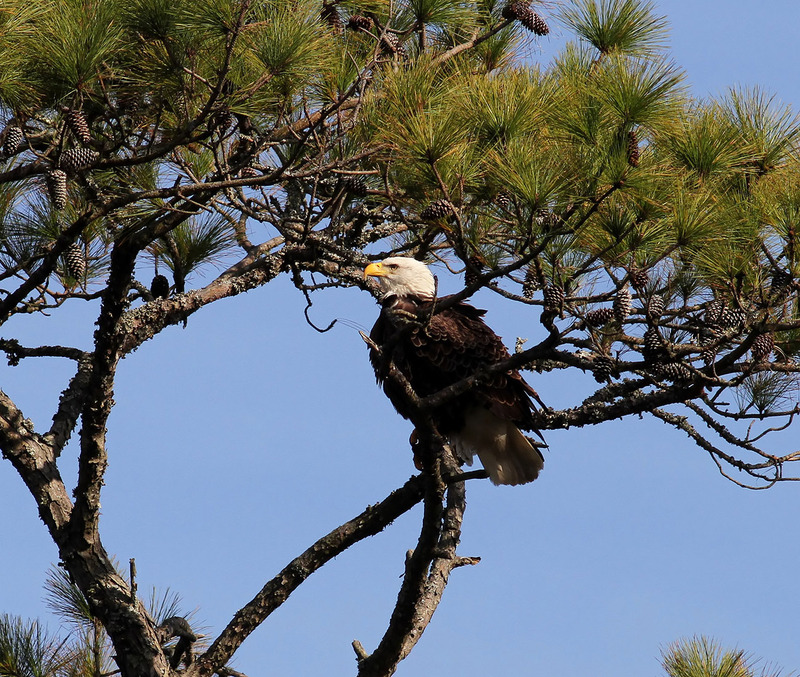 How about being the first person to capture an Abaco bald eagle on film digital media? The kudos! The traditional Rolling Harbour bottle of Kalik is already on ice in the expectation of a usable image, together with the accurate location… Failing that, all reports welcome anyway. 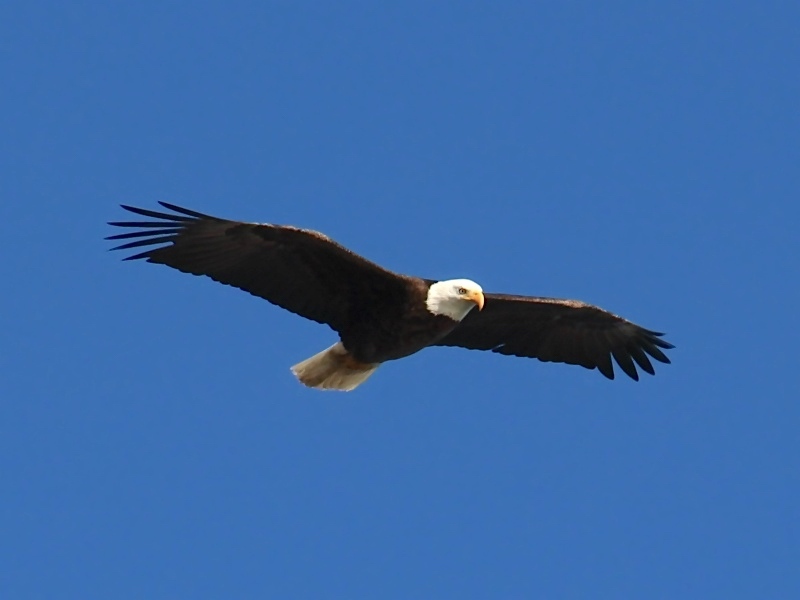 On March 22nd a friend of ours, James, was bonefishing far out on the Abaco Marls when he was astounded to see the unmistakable appearance of a bald eagle Haliaeetus leucocephalus flying above him. His boat partner and guide Joe also saw the bird. 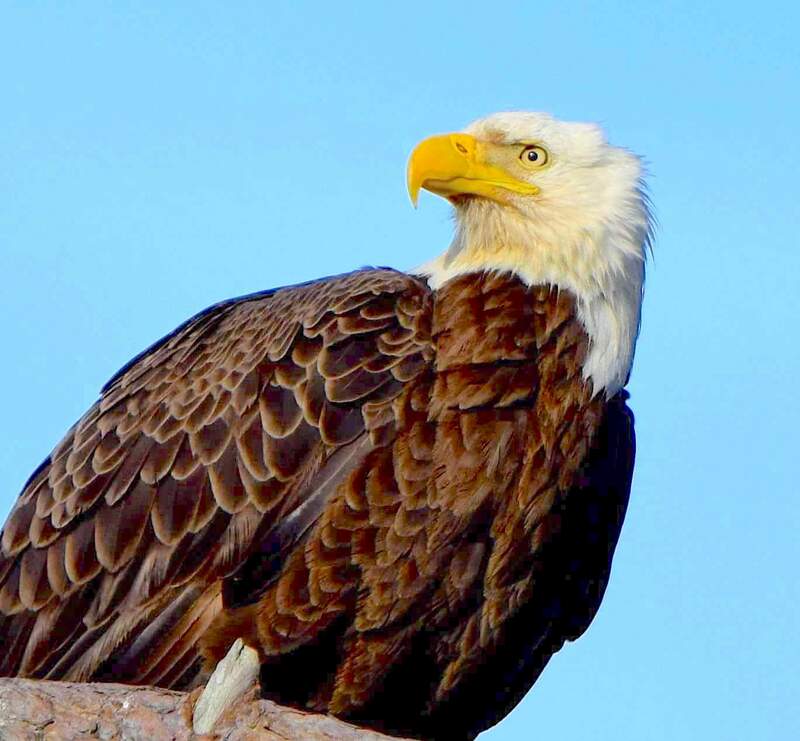 James is a very experienced birder, and has seen plenty of bald eagles over the years. He was not to know, at the time, what an exceptionally rare sighting this is. The location was in the area of Big Pine Point. If you are out on the Marls and see this bird, please can you add a comment to this post or contact me at rollingharbour.delphi@gmail.com, giving the date, time, approximate location… and if possible attaching a photograph. 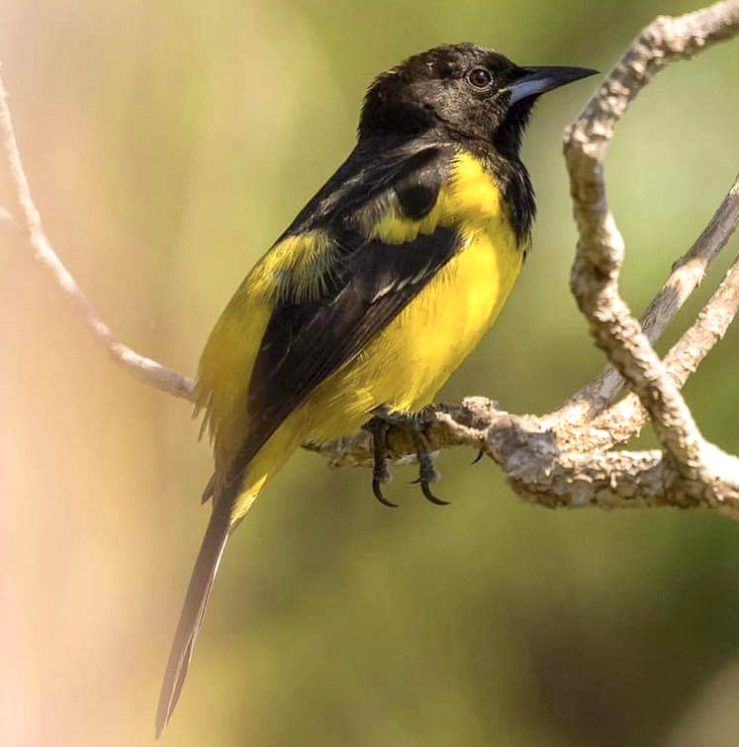 Any reports will add important data to the archive for the birds of Abaco, and of the Bahamas generally. 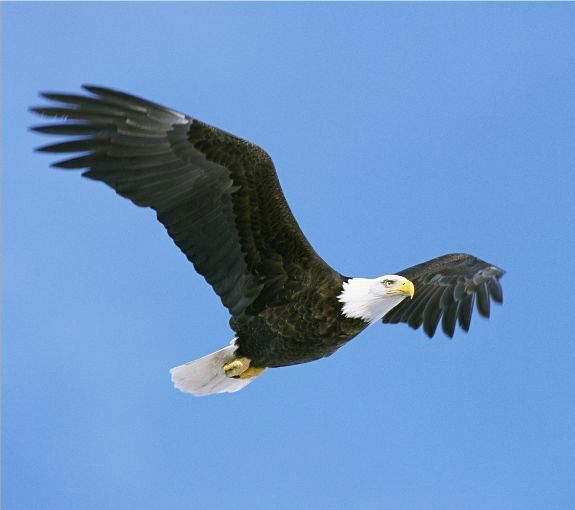 “Bald Eagles were sighted on Abaco three years running 2000-2002. In each instance it was over the Christmas Holiday period (12-20-1-10). I saw one in 2002 from the overlook near Treasure Cay looking out over the marls. Betsy (Woody’s wife) saw one over the chicken farm fields in 2001 but I missed it”. 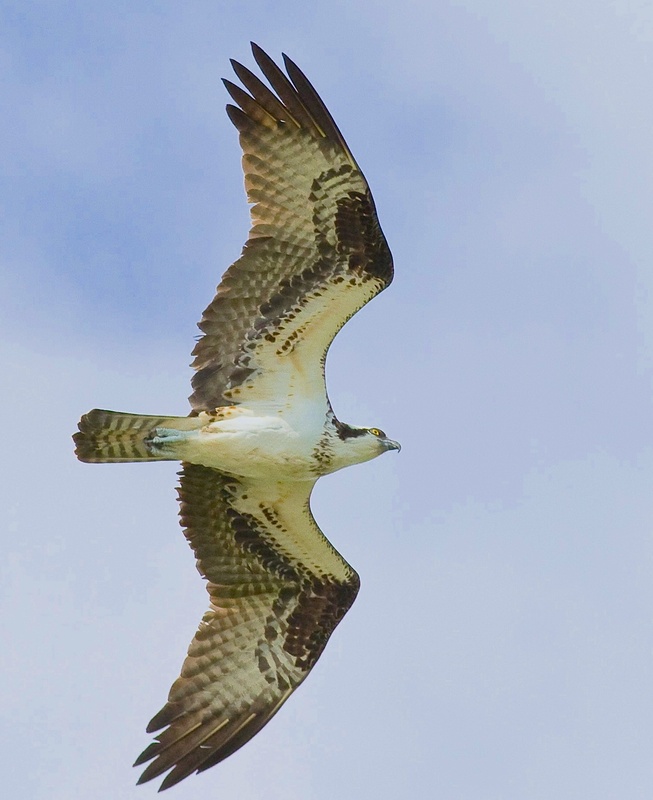 Some people might mistake the Caribbean subspecies of Osprey (an all-white head) for a Bald Eagle but as Woody points out, “their flight and shape are very different”. WHAT DO I LISTEN OUT FOR?